Remember how I’d been complaining about a noise my car was making in the morning? I opened the hood to see if I could find something amiss, and this is exactly what I saw. 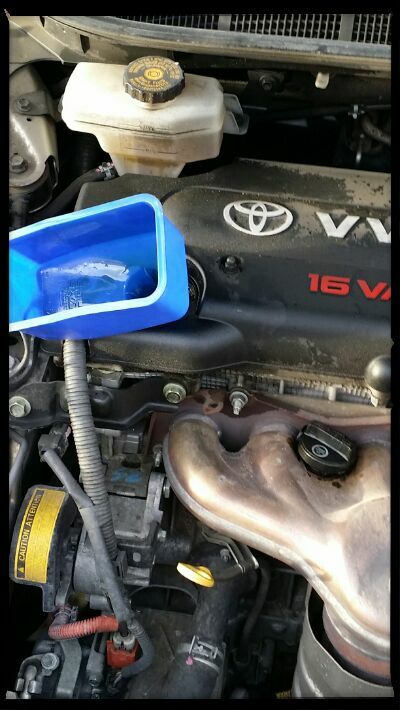 I changed the oil on Saturday and didn’t remove the funnel or replace the oil cap. Both were melted quite a bit. A quick trip to Auto Zone for a replacement cap and I’m good to go. I’m was hoping you’d see this lol. It felt good to solve a problem even though I created it. I still laugh at myself. Don’t worry, I’ve lost count of my own demerits.